Once you have written a meta tag for your site, what you are really like to do next? No question, we start our link building process. Before doing link building how many of them consider the PR of the page from where you are getting the Backlink and to where you are giving the external link, thus this factor affects or improve your SEO effect, Lets us see in this blog. Google rank your web page as a number from (0-10), so the visitor can find out how credible your website is.This gives the visitors trust about your site. In order to see the importance of page rank, first we want to know about Google search algorithm.How Google list for a particular search query.Whenever you search for a particular word or phrase, Google list the sites in SERP with the concept called as “relevancy”. Relevancy is the measure of how your website is matched with users Search phrase. So Page Rank is key factor here. Still there are some unrevealed and debating issues about link juice and PR. But Link Juice is the term used to refer to the quality and strength of a given link. Let us see how the essence of link juice increase or decrease your PR. Google determines your PR by a quality and quantity of your back links, For example if you are getting 100 back links from PR 2 page it might be good, however if you are getting a link from page that has PR 6 or greater than that from an effective site it might be more valuable than those 100 links. So we should consider many factors in that like: age of the domain, quality of inbound links, placement of the link on that site linking to your site etc. Get your link juice with great essence by getting a valuable link from relevant page. So I like to define quality might be better than quantity of links here. Link juice can affect your PR if your site has more outbound links to irrelevant and less important pages. 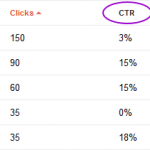 So what happens if you have a outbound link to a page that has higher PR than you and more relevant, yes there may be also a loss of link juice but only within a certain fractional amount. I have found that there is a high loss of link juice when we give a outbound link from a home page. So conserve your link juice buy giving a “no follow” links to the unwanted, less important pages. Let’s comes to internal links now, make sure you give the internal link to high priority pages from home page. And give “no follow” links to the less important pages like Contact us, register, sitemap etc. Still there are some unknown myths and unrevealed secrets about link juice and PR.These are some of the commonly asked questions. I have found that some PR 0 page also passing some link juice? And we don’t know, what percentage of link juice provide by respective PR? Question 1: Recently, you removed this suggestion: “Submit your site to relevant directories such as the Open Directory Project and Yahoo!” from your guidelines. Is there any chance that you will be discounting these kinds of links for ranking value in future? Matt Cutts: There’s always the chance that we’ll discount directory links in the future. What we were seeing was quite a few novice people would see the “directory” recommendation and go out and just try to submit to a ton of directories, even if some of the directories were lower-quality or even fly-by-night directories that weren’t great for users. Right now we haven’t changed how we’re weighting directory links–we’ve only removed the directory suggestion from the webmaster guidelines. Question 2: Do inbound links from other sites owned by the same company help or hurt rank? Matt Cutts: I find that inbound links from the same company tend to break down into two camps. You’ll find mom/pops that have a very few sites in one camp, and that can make sense if those sites are linked; in the other camp, I’ve see SEOs have 1000 or 2000 different domains and cross-link them. I definitely would not recommend that. Question 3: What weightage is given to the links from social networking sites and blogs? Nathan J: I would treat social sites and blogs the same as any other site. 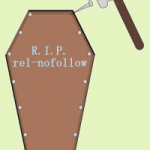 Question 4: Will too much of “rel=nofollow” or totally “nofollow” to all outgoing links by the author of a blog be stamped as over optimization and penalized? Is there any penalty for over optimization sort of stuff? JohnMu: I wouldn’t worry about this. I would try to work on making the site as natural as possible. Question 5: Until recently external links from article directories could improve page ranking. Is this still valid? Do links from article directories have a better weight than links from web sites or blogs? Matt Cutts: Article directory links certainly aren’t inherently worth more and don’t get more weight than other web sites or blogs. Question 6: How many times a year do you update a site PageRanking? Matt Cutts:PageRank is re-computed all the time (different PageRanks every day). But we update the toolbar PageRank 3-4 times/year. Question 7: Is it still worthwhile to buy links from good quality, niche directories? Question 8: If i have backlinks from unwanted sites do this affect my PR or anything else ? JohnMu: those links might be positively affecting your PageRank .In general, you don’t have to worry about bad links like that which point to your site which aren’t under your control. Question 9: Does having the domain name for a long period e.g. 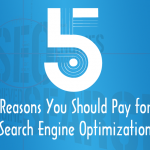 5 or 10 years really affects SEO and give high rankings? Maile Ohye:A site’s reputation can be a indicator to search engines, but of course, it’s not everything. Having a site for a long period of time can establish credibility with users, and as a search engine we also want to reflect this type of credibility. Of course, newer domains can also gain users and credibility. It seems like running a good site is a bit like running a reputable business. So yes, if your domain has been credible for years it can help. If you buy an old domain and put all your content on it in hopes of getting instant rankings, that’s not the best idea. Question 10:Are .gov and .edu back links still considered more “link juice” than the common back link? Matt Cutts: This is a common misconception–you don’t get any PageRank boost from having an .edu link or .gov link automatically. Finally I conclude that there is no effective SEO without the PR, because even though as a SEO you can bring your site within the top 10 result of SERP, but visitor’s trust and credibility goes only to the high PR sites, yes of course SEO bitters without the essence of link juice. The general consensus, however, is that PageRank is not as important for your site, as it is for other sites linking to your site. That is, you get more credibility if a highly ranked and trusted site links to yours. ‹ Google squared vs Wolfram Alpha – Which one beats other? I thank you for making us understand about the concept of allocation of Page Rank by google to the websites. 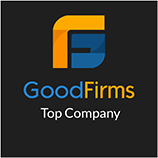 The important factor which we and SEO Companies need to focus while doing link building is quality and quantity of incoming link to our website. One important way to gain relevance in your niche is to actually link to authoritative-industry-related websites. It’s worth the leak in link juice. yes it truth that at first any searcher look any site it page rank. Then He get a basic idea about this those site .So page rank is the vital for a website. 1 Pings/Trackbacks for "Does SEO bitters without the essence of link juice"
Google rank your web page as a number from (0-10), so the visitor can find out how credible your website is.This gives the visitors trust about your site. 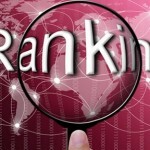 In order to see the importance of page rank, first we want to know about Google …..